Alvar Aalto designed the building at Tiilimäki 20 in Munkkiniemi as his own office in 1955. Because of a number of large commissions, the office needed more space to work in. 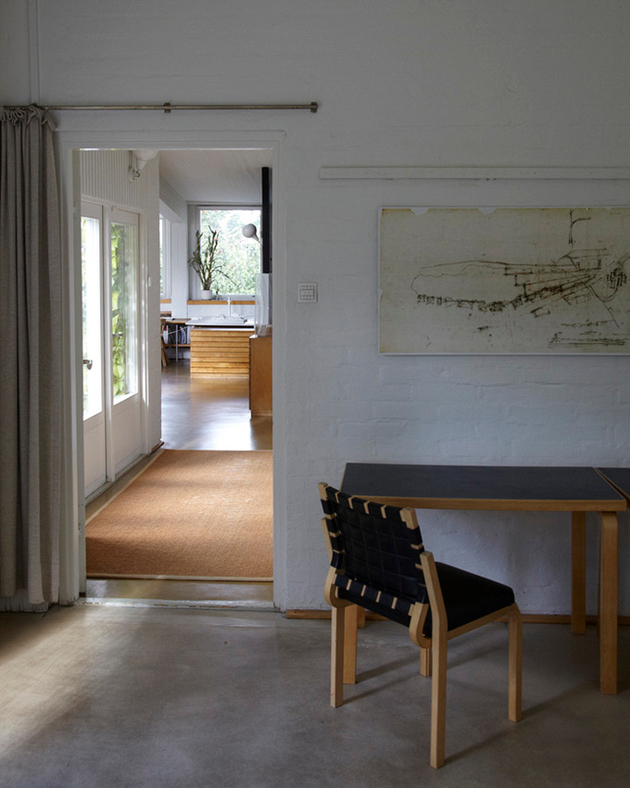 The building is only a short walk from Aalto's own house, where the office had previously been located. 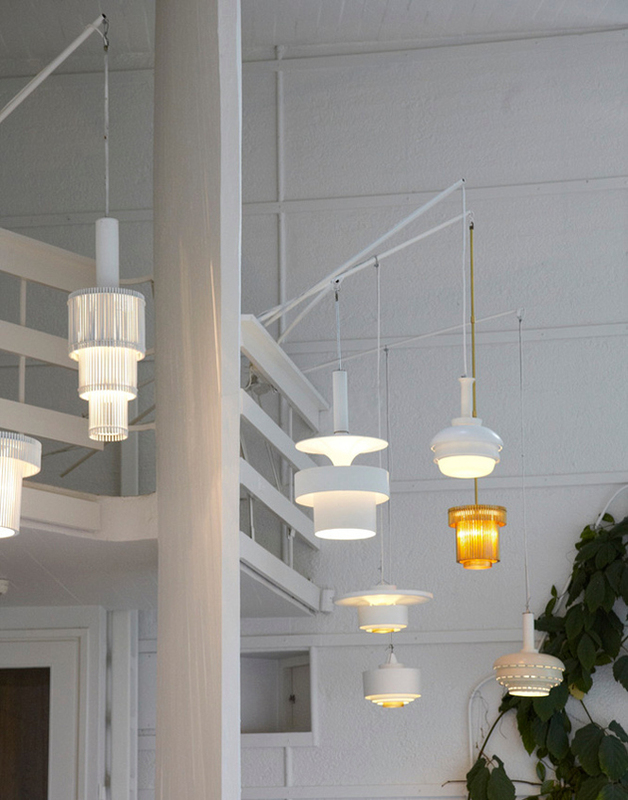 Studio Aalto is one of the best of Alvar Aalto's 1950s buildings. The principal space in the building is the curving studio which has a view opening onto the courtyard. Horizontal battens fixed to the high walls of the studio allowed drawings to be displayed there. 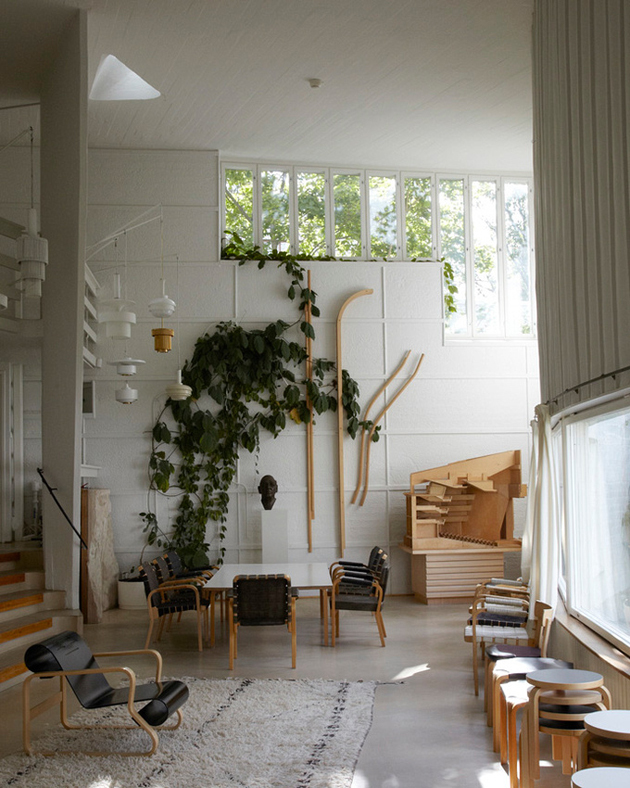 The rear wall is covered with climbing plants reaching up to the high-level windows and prototypes of light fittings designed by Alvar Aalto are hung in front of the wall. 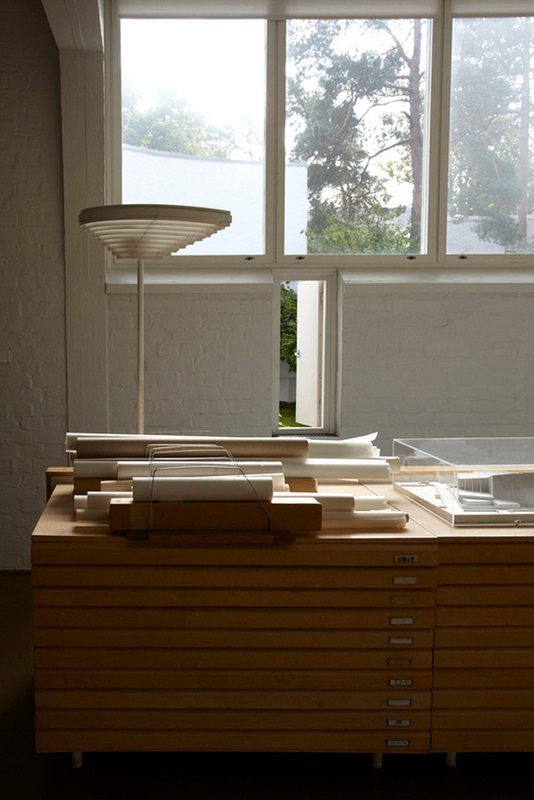 The slanting bay window of the conference room with its rooflight creates the perfect conditions for examining models and drawings. The building is designed to be used as an architect's office. On the upper floor there is a drawing office on a narrow plan, beautifully encircled by natural light from a band of high-level windows. In 1962-1963the building was extended by building a dining room for the staff, the 'Taverna', in the courtyard behind the high brick wall, with an office above it.